New guy here and I'm sure glad I found this site! I'm an Allison Transmission re builder from the central Florida area. I have been into rails in the past and just made the switch to building a Baja. 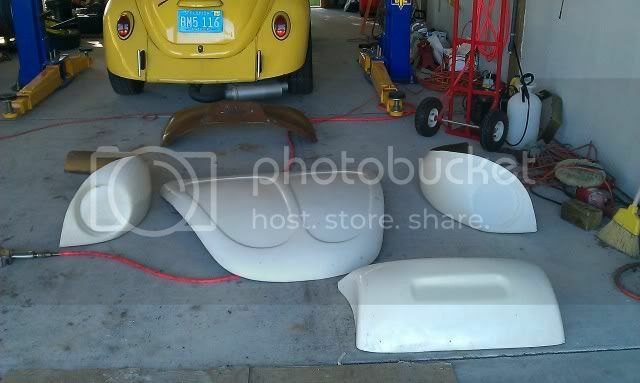 I purchased a 72 reg beetle and I'm in the tear down stage,taking the body off to replace the pans and such. The plan is for 3x3 trailing arms,3" raised spindles,and a slight tweek to the new 27mm torsions. May go with a body lift also but I want to see how the car will sit on the 31" rear and 29" front TSL's first. This site is going to be a huge information resource to me and I would like to say thanks up front. If anyone ever has any Allison Transmission questions PM me I will be happy to try and answer them. Here are some pics of current status and parts in the man cave. Welcome to the site. 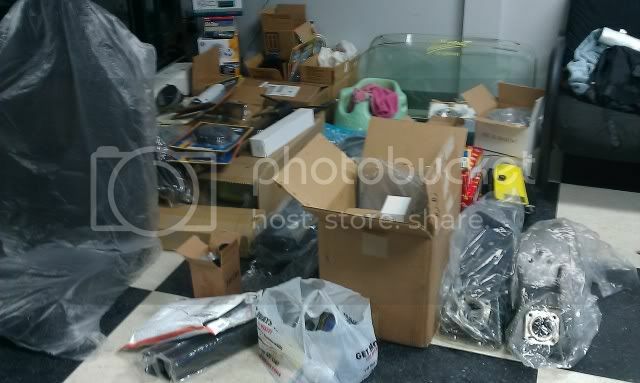 Looks like you had Christmas at your shop already thats a lot of parts to start with. Keep us posted on progress. Your right, Santa did show up real early, "But Mrs Claus is not a happy camper this year!" That was just one side of the room here's the other side! I might be staying in the man cave soon! It is what it is... and just so ya know, i'm no pro..
oh.. pardon my bad manors.. welcome to the site.. Thanks, I haven't had to sleep out there yet but I guess i could if it came down to it! As I tell everyone... If moma likes it... Buying parts and working on your Baja is ok..
cant wait to watch your build.......looks like youre going to have some fun. So where's the tubing for the cage to support the shocks for those 3x3s? That is in the works,plans call for a roll cage just to the rear. That way the kids will still have a back seat. I think I'm going to bend it from 1 5/8 or 1 3/4 tubing. Welcome to AzBaja. Nice pictures and build.